To track those who are left to follow up and are to be taken under Antiretroviral therapy (ART) services. 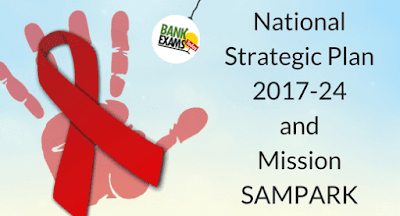 National Strategic Plan 2017-24 and Mission SAMPARK were organized on the occasion of World AIDS DAY. The aim is to bring more awareness and make people more aware about these diseases and bring people forward by accepting the situation and try to come out of it but not by ignoring it. The aim is not to eradicate a disease just from India by 2030 but from the world because it is a global disease and tries not to lose more lives due to carelessness. Now, the main task is to find out those who are positive HIV (PLHIVs) but are left from the services and need to bring all those to this service. This is the main aim of launching this new mission SAMPARK under the National Strategic Plan 2017-24. A “Community Based Testing” is a service which takes HIV test close to those who are in need and it will help to fast track to those who are HIV positive and link them to Antiretroviral therapy (ART). 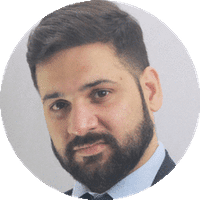 So, the goal is set for the next years and in all these years investments are going to make in services, medicines and in doctors will result at the end of the goal. To eradicate HIV/AIDS and to spread out to people in a society to test and direct them, an act named HIV/AIDS Prevention and Control, 2017 has been passed by the government. This act is people-centric, uniform in character protect to those who are discriminated in a society. This law will legally protect those who are HIV positive from a community, medical, educational, job and monetary unfairness. To prevent diseases in highly affected and among the symptom population, a stipulation of services like condoms, needle syringes, Opioid Substitution Treatment, link to HIV testing facility and Health check-ups for STIs. Open counselling is provided to people. Currently, 11.5 lakhs of people who are positive HIV (PLHIVs) and for all this 536 Antiretroviral therapy (ART) are set all across the nation which treats affected ones. A strategy 90:90:90 set to end AIDS disease by the end of the year 2030 which means 90% of all positive HIV/AIDS, provide a facility of Antiretroviral therapy to 90% all those who are diagnosed and achieve result by suppression of 90% of all those who are treated by 2020. A Mission SAMPARK will further aid to will help in fast-tracking the identification of all who were HIV positive and subsequently linking to the ART program.